Do you find it easy to get enough exercise? I don’t either. Not even close. 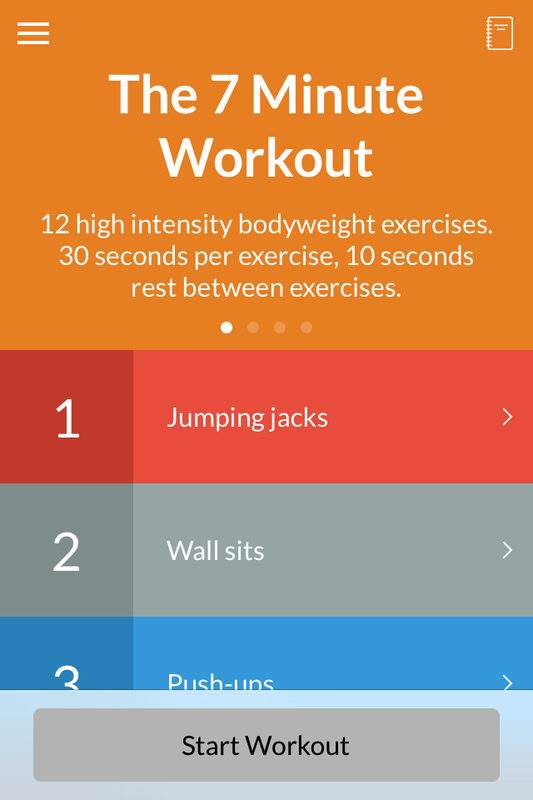 Last spring I downloaded an app called 7 Minute Workout. And then I didn’t use it for all the usual reasons. This month I am committing to do the 7 Minute Workout every morning when I first wake up. If done with sufficient intensity, the workout can have the same benefit as running or biking. Will you join me in making a commitment to do seven minutes of exercise every day in September? For the 7 Minute Workout you will need a wall, a floor with some cushion (or a folded towel or a yoga mat), and a chair. If you don’t have a device to support the app, you can follow along with this pictogram showing the 12 exercises. Each exercise is done for 30 seconds with 10 seconds of rest in between.